I reviewed the t-shirt you see above except in black. My husband thinks it is hilarious and was really happy to have it. The quality of the shirt was very nice, it is a thick cotton. The shirt fit exactly as sized and over all we are 100% happy with it. This shirt and a few others (several are too raunchy for my taste) from the funny shirts website would make great one of a kind Father's Day gifts. Wrap your shirt up with a 6 pack of beer and Dad will be the happiest man around. Only draw back could be if your guy is tall or a bit on the husky side, sizes only go from Small to XL. 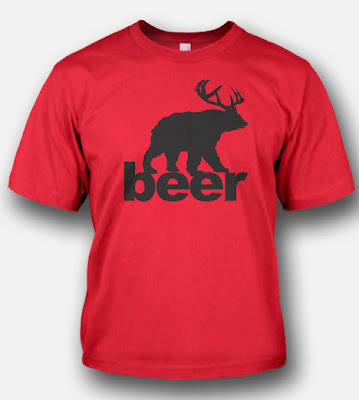 These great funny shirts are affordable and start at $19 plus S&H. There are lots of different styles to choose from and lots of colors too.